Storage areas are places where goods/equipments are stored temporarily for eventual movement or use. With the level of import and export on the rise and the ease with which it can be done, storage facilities are now necessary to store materials before they are shipped somewhere else. While the agricultural board is the main body concerned with the storage of vegetable produce and the meat authority with meat storage in Mauritius, a number of private companies do so privately such as Happy World, Zenith enterprise, Panagora marketing, Maurifoods Ltd etc. 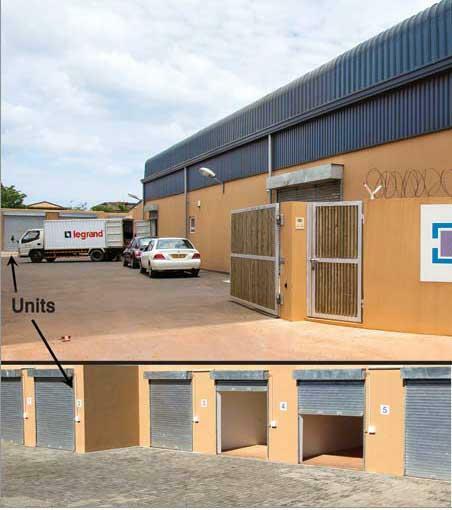 One of the largest storage facility areas is at the Freeport of Mer Rouge off Port Louis where a number of warehouses is available for the storage of materials before export to other places or distribution across the island. It is actually an incentive of the government to attract foreign investors and as it is, the Freeport is a regional hub for trading facilities providing services such as import of materials, bulk breaking, grading, labelling, quality control and even providing office properties. In order to access the facilities at the Freeport, the party must hold an appropriate licence which is valid for a period of one year. The fee depends on the type of activity that will be undertaken at the Freeport but can be categorised in 3 main groups: Rs 150,000 within the due date (Rs 225,000 after the due date) for full Freeport use (all services and office renting), Rs 10,000 within the due date for storage only (Rs 15,000 after the due date) and Rs 15,000 for one day exhibition and Rs 12,000 for more than one day events. The airport of Mauritius too offers storage facilities for products such as fruits, vegetables, flowers, medicinal products, meat and fish etc. While the first 24hours of storage is free of charge, subsequent storage per m3 is at Rs135 for the 1st day, Rs270 for the 2nd day, Rs405 for the 3rd day, Rs490 for the 4th to 7th days and Rs70/day for more than 7 days. Storage fee for ammunitions/guns is Rs1,000/day, Rs650/day for horses and Rs1,500/day for vehicles. A fee of Rs1,000 is also paid for valuable cargo and a tax fee of 15% must be added to all fees. Besides travelling places, there is a number of storage areas both state and privately owned scattered across the island. The most common materials stored in Mauritius are those produced locally such as flowers for export (anthurium), fruits, vegetables, snoek fish, meat, potato, onions, ginger and maize. In order to prevent deterioration and food poisoning, the goods must be minutely controlled in terms of temperature and level of humidity so as to inhibit enzymatic processes and other reactions. However, different materials require different conditions for storage. Three main processes are used in Mauritius for this purpose namely under ambient temperature, cold temperature (0°C- 20°C) and chilled conditions (0°C-12°C). About 2,550 tons of spaces are available for the storage of potatoes, garlic, onions and pulses mainly at the government facilities at ambient temperatures. The private sector provides cold facilities for the storage of meat and such products covering a space of 8,000 tons. While the government provides an area of 8,000 tons for the storage of potato under chilled conditions, the private sector owns about 2,600 tons of space for the storage of fruits, vegetables and flowers. Other storage facilities include those for solid waste materials that are stored temporarily at 5 main transfer stations at Poudre d’or, Roche Bois, La Brasserie, St Martin and La Laura prior to being sent to the sole landfill of Mauritius at Mare Chicose. Waste water on the other hand is collected by tanks and treated at St Martin, Grand Baie, Baie du Tombeau and Montagne Jacquot. Besides bulk storage, most private firms also have their own warehouses for storage of materials such as furniture, computer hardware, clothes, fruits and vegetables etc. Is it possible to do any golfing at all in Mauritius? Are there any storage companies in the North?